Western Province strengthened their claim to the Currie Cup title with a masterful tactical performance at a storm-hit Loftus Versfeld, writes JON CARDINELLI. The Sharks were the favourites to lift the Currie Cup trophy almost exactly a year ago. They were playing the most balanced brand of rugby of all the teams in the tournament at that stage. They had every reason to feel confident as they headed into the final round. Then WP turned the competition on its head when they beat the Sharks 31-20 in Durban. Two weeks later, WP hammered the Sharks 33-21 in the final played at Kings Park. To say that Province have dominated the 2018 instalment is an understatement. John Dobson’s charges finished the single-round league phase with the maximum number of wins (six) and the maximum number of log points (30). Their attack produced more points (276) and tries (38) than any other side. Their defence conceded fewer points (113) than any other outfit. The points-difference of 163 suggests they were the most balanced side in the competition, and by some distance when one considers that the next best side in this department (Sharks) only managed 60. Neither Dobson nor captain Chris van Zyl appeared overconfident about the team’s title chances in the aftermath of the 34-7 win against the Blue Bulls on Saturday. That is a good sign for WP fans, and a bad one for others hoping for an upset at Newlands over the next week or two. Perhaps Dobson and Van Zyl realise that the job is far from done. Indeed, how many times have we seen the form side in the league phase fall short of its goal in the playoffs? Province peaked late last season, while the Sharks slumped when it mattered most. Then again, one needs to consider how well WP have played in recent weeks and exactly why they will go into the next round or two as favourites. The recent game at Loftus was abandoned after only one half. Heavy rains soaked the pitch, and it was clear to anyone watching that handling and kicking were extremely difficult. The game was eventually called off due to the lightning in the area, as the officials feared for the players’ safety. Many may be tempted to disregard the game completely. But, as a starting point, one has to consider that WP scored four tries and 34 points in 40 minutes. Given the difficult conditions, one has to commend Province for their ability to adapt and execute. The power and determination of the forwards kept the Bulls on the back foot. The accuracy of the kicking game kept the hosts pinned in their own half. How many times did the Bulls players battle to control the ball near their own tryline? The conditions can only be blamed up to a point. Province put the Bulls under a lot of pressure. Van Zyl took some excellent decisions to ensure that his side’s effort received due reward. It must have been slippery underfoot. Somehow, the WP scrum and lineout managed to function, and in some instances dominate, as if it was another clear day on the highveld. Pote Human said afterwards that his side won’t dwell on this performance. When the Bulls coach was asked about the scrums, though, he admitted that an improvement was needed ahead of the semi-final showdown at Newlands. I’d argue that WP landed more than one psychological blow against their old rivals in the recent match at Loftus. The conditions were challenging, and forced both teams to play more tactically. Province looked more adept to playing this sort of brand, and this bodes well for the playoffs. How much will change for WP in the buildup to the semi-final? Josh Stander, who came into the side as a late injury-enforced change, controlled the game superbly from the flyhalf position. Damian Willemse slotted in at fullback in the absence of Dillyn Leyds. Will Dobson drop Stander to the bench if all three are fit and available for the semi-final? Willemse is the future for WP, the Stormers, and most importantly, the Springboks. One would hope that he is backed at No 10 for the coming playoffs. That selection will benefit the national side in the lead-up to the end-of-year tour and the 2019 World Cup. Coach Rassie Erasmus has already said that he is considering Willemse for a utility back role at the global tournament. Dobson shouldn’t change a thing as far as the game plan is concerned. 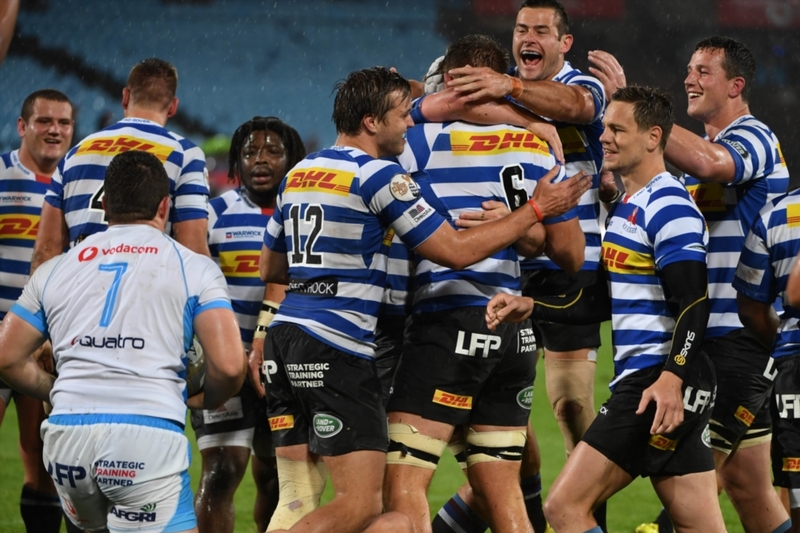 The Bulls will come to Newlands with a physical point to prove, but their expansive intentions have backfired spectacularly at times over the course of the year. It wouldn’t surprise to see WP feeding off those errors and going on to book a home final.